Your business or home may be your pride and joy- everything in its proper place and every surface polished to perfection… but what about your access lifts? 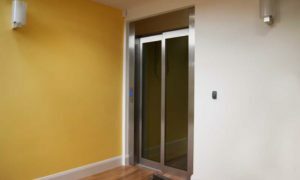 It may be sat in the corner of your room, silent and watchful, dutifully waiting until it’s needed, but have you ever thought about giving your lift a little TLC? Dirt from heavy foot traffic, whether it’s in your home or in your business, can leave your floor looking a little worst for wears while your buttons can be covered in grime you can’t see. However, if you find that you barely use your lift in your home, you may notice a fine layer of dust on the interior fittings. It’s time to pull out your disinfectants and cloths, we’re going to walk you through the process of cleaning your lift. 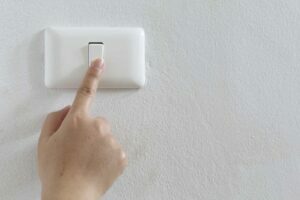 Before you go playing around inside the lift, it’s a good idea to turn off the power- that way you can happily clean your lift without worrying about it suddenly taking between floors. It will also help to ensure the doors are left open as you clean, giving you more space to move around. First rule of cleaning, always work from top to bottom, this way you won’t be contaminating anything you’ve already cleaned. Surfaces such as glass and stainless steel have a tendency to leave streaks if a bit of elbow grease is not applied or if they aren’t cleaned from top to bottom. Be sure when cleaning your lift you run a damp cloth over the ceiling of your lift and that you use safe, appropriate step ladders in order to reach those too high places. 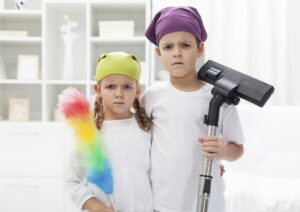 Make sure when you come to cleaning the floor that your sweep away any larger pieces of debris before you hoover. 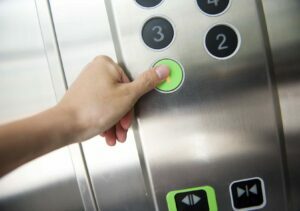 Cleaning the key pad of your lift may seem like a simple enough job but you’ll be surprised at home many people clean this wrong. With your disinfectant, spray onto cloth instead of directly onto the buttons. This prevents any droplets from the spray from getting into the mechanics of the lift. Clean the buttons first- smooth gentle strokes to ensure the buttons aren’t accidentally pressed- before you clean the button panel. Lastly take care when cleaning your lift doors inside and out. Use circular motions when wiping down their stainless steel or glass surfaces with the appropriate cleaner. Again, make sure you use a step ladder to reach the tops of the doors to prevent you from over straining yourself. As specialists in supplying access lifts for both commercial and domestic properties, we know what style, make and model will best suit your establishment. If you’d like to find out more, don’t hesitate to contact us on 01200 405 005. Alternatively, don’t forget to follow and like our Facebook, Twitter, Google+ and YouTube pages for our latest news and updates!